Chemical Peels involve applying an acidic chemical solution to the skin to help slough away the outer skin cells, to reveal smoother more even toned skin. Preparing the skin and having a chemical peel can achieve a reduction in colour irregularities and a reduction to uneven textures. The results of each chemical peel treatment will vary from person to person, and will be dependant on the depth of peel and skin preparation that you do prior to having the chemical peel. The choice of chemical peel and strength will be advised within your consultation, dependant on the results you would like to achieve and how much down time and peeling you are happy to accept during the skins preparation or after your chemical peel. What do we mean by down time? Down time, is the time you need to recover from the chemical peel’s actions on the skin. You can choose a superficial chemical peel such as a glycolic acid, that will allow you to return to work immediately after the treatment, or you can progress to stronger peels such as a jessner peel or a TCA peel that will involve tightening and darkening of the skin for a couple of days prior to the skin visibally peeling or appearing dry and flaky. We go into more depth further down the page and include our frequently asked questions section to give you the knowledge to make an informed decision. The treatment time varies according to the response of your skin to the chemical peel solution, however, you will be given a 30 minute appointment to prepare your skin and allow for any additional questions you may have after having a consultation. Your medical history will be reviewed prior to undergoing any treatments to check for suitability. Is it safe? Different chemical peels are only suitable for certain skin types. A full assessment will be carried out to ensure the correct peel strength is used according to your Fitzpartick skin type. What is my Fitzpatrick Skin Type? Why your skin type matters to us. Your skin type is important for us to decide the streght of peel that we’re going to use. As with any chemical, heat is induced, which could lead to PIH- Post Inflammatory Hyperpigmenation. Meaning as a result of inflammation, an unwanted side effect of draker, pigmented skin could occur. The darker your skin, the higher the risk of this occuring. Does it hurt? Chemical peels vary in strength, and can vary from a tingling sensation to feel quite warm to a hot sensation, but it should not hurt. The deeper the peel, the hotter the sensation. You can use a fan, to help cool the sensation you feel on the skin. How long does it take? You will need to allocate about 30 mins to allow time for both the assessment and the treatment itself. Your review will only take 15 minutes. How much does it cost? 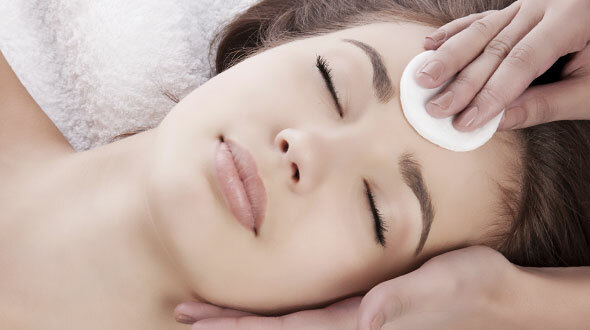 Prices are £69 for a glycolic peel, £139 for a Jessners Peel, to £169 for a 15% TCA Peel . How does it work? The chemical peel solution works by chemically exfoliating the epidermis. The stronger the peel, the deeper it penetrates and the quicker the result can be achieved depending on the issue at hand. How long does it last? Once a peel has smoothed acne scarred skin, there is no time frame for this to revert. After all the natural cell structure has been changed to achieve smoother skin. If you achieve a reduction in pigmentation, it’s very important to stay out of the sun, wear a hat and use daily sunblock as sun exposure can cause the hyperpigmentation to return. How will my skin look? 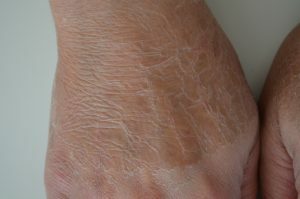 The skin’s reaction varies from minor pink patches on mild glycolic chemical peels or Jessner Lactic Acid peel, to red skin with deeper chemical peels such as TCA’s or an Obaji . Afterwards, again depending on the strength of the chemical peel, the skin can have no peeling or flaking to significantly tight skin that peels after three days. Following any peeling process, the skin starts to look brighter and fresher. What are the common side effects? Side effects include, but are not limited to redness, peeling, flaking, tightness, initial darkening prior to peel, with the risks of infection and scarring. Results will vary from person to person and from each chemical peel solution. A consultation will help you decide which chemical peel treatment will best suit your skin and your circumstances. What is the difference between Glycolic acid and Trichloric acid (TCA) peels? The difference between the two are simply the strength of the chemical peel solution and their active ingredients, and therefore the depth of peeling and the results that can be achieved. What are the risks involved with having a chemical peel? The risks associated with a chemical peel vary according to each risk. During your consultation, your practitioner will advise you on the best treatment according to your skin type, and which peel will be most suitable to reduce those risks and complications. Should I do anything before having a chemical peel? Preparing the skin prior to a chemical peel will help to create a more even platform, meaning the dead skin cells will have been exfoliated away, and any pigment producing enzymes can be reduced. This will depend on the skin care range your practitioner will advise you use prior to having treatment. Do you offer any packages to save money? Yes we do. We offer 4 packages for anti ageing, scarring, acne and pigmentation.